The 2019 Lunar New Year T-shirts are here! On the front is this year’s design of the Chinese Zodiac pig running across circular Asian styled tiles with our Steel City colors. 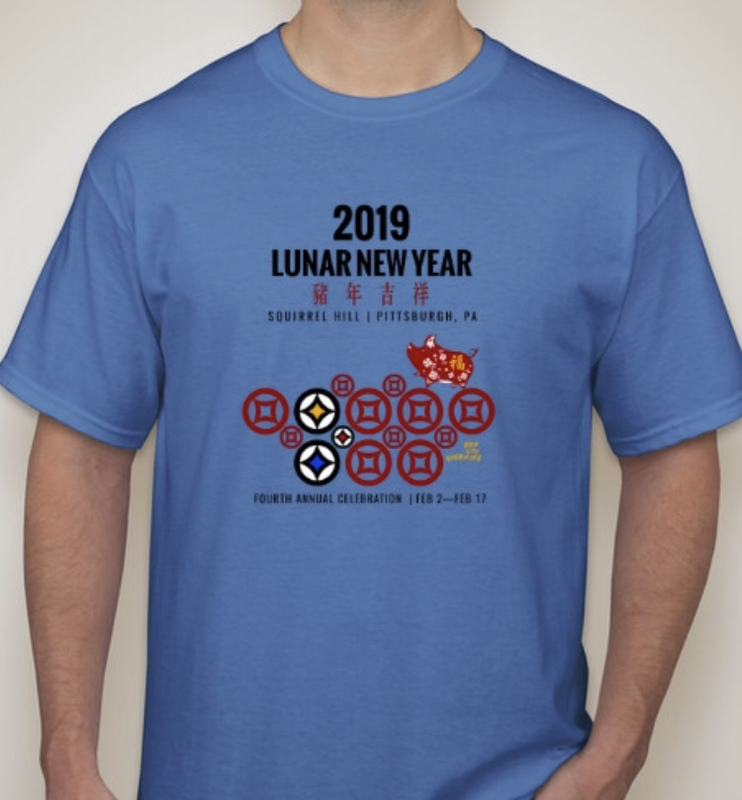 Shirts will be delivered to Ten Thousand Villages in Squirrel Hill at 5820 Forbes for pick-up. (Open daily 10am to 6pm, 8pm on Thursday evenings.) Please have handy confirmation of your online payment. For long-distance orders, please contact us at info@shuc.org for shipping availability.